Are you a broccoli lover? Then it might be time to try growing your own! 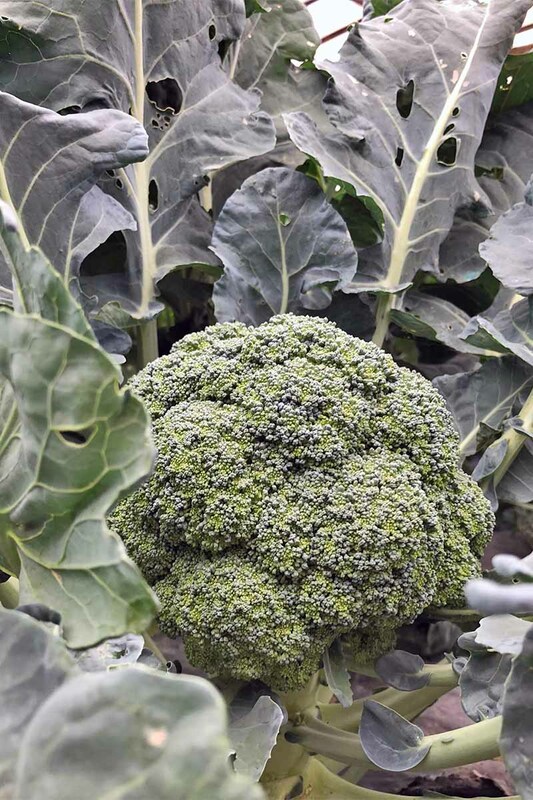 This healthy green brassica is a member of the cabbage family, a close relative of Brussels sprouts, cauliflower, bok choy, and greens like collards. 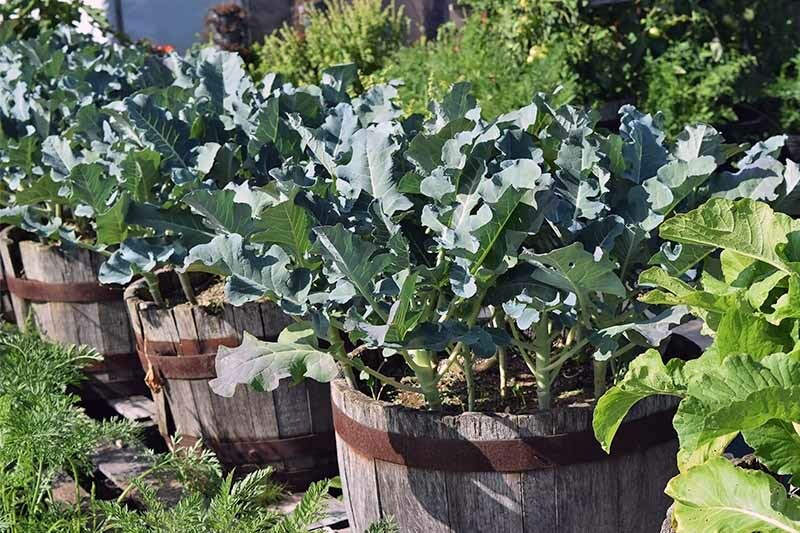 It’s also a cool weather crop – like beets and kale – that, when planted appropriately, can yield one or two main harvests and multiple mini-harvests per growing season. Ready to get started? Let’s talk about the basics of cultivation. 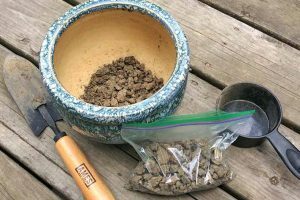 Most seed companies will suggest that you start by selecting a location with full sun and organically rich soil that drains well. 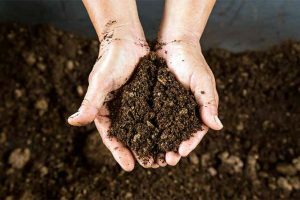 You may improve your soil with the addition of compost. 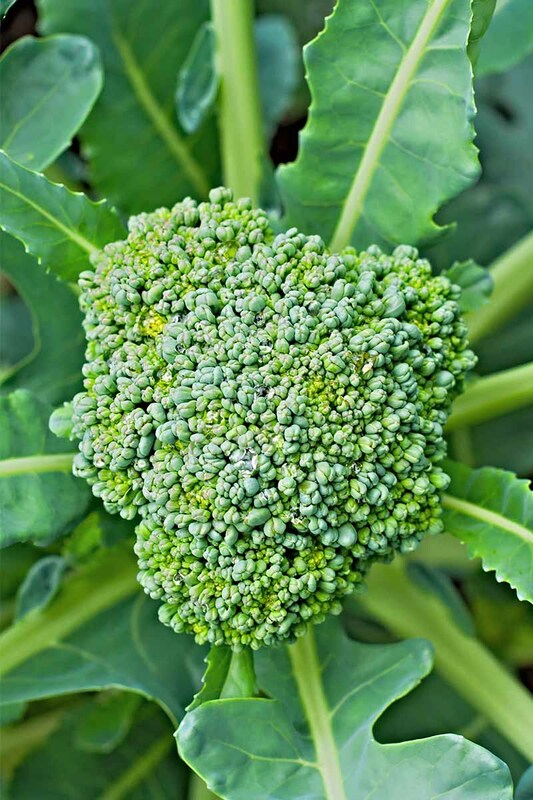 In addition to fertile ground, broccoli requires a bit of acidity. A little lime or leaf mulch can sufficiently raise your soil’s pH level. Next, consider your climate zone. Do you have hot summers? If so, get a jump on spring by starting seeds indoors about 8 weeks before the last frost date for your region. Keep in mind that because this is typically a cold weather crop, it can actually do well in partial shade. According to Just Plain Marie, growing in full, constant sun can actually ruin the flavor, since it encourages flowering. 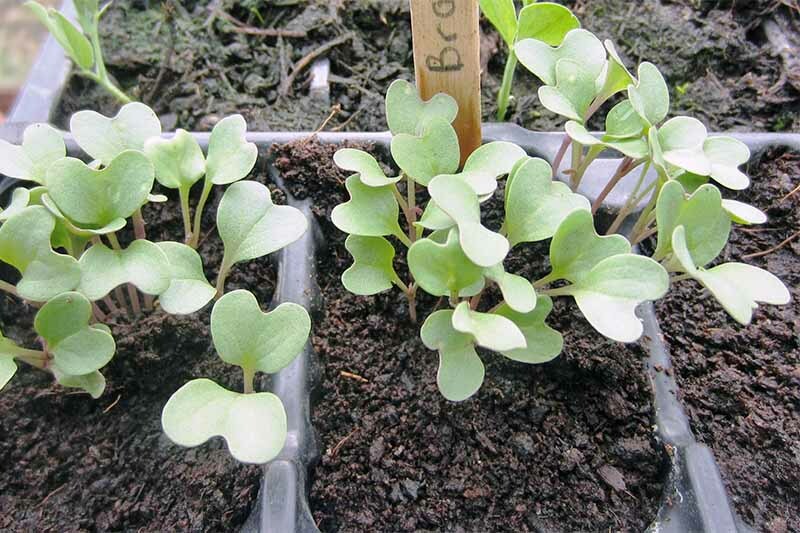 Move seedlings outside when they are about six inches tall. 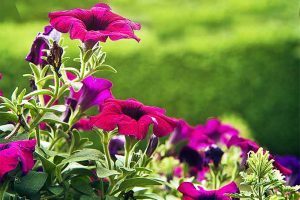 Let them acclimate to the outdoors for a day or two, then plant them in the garden about an inch or two deeper than they are in the containers in which they sprouted. Leave two feet of space around each seedling. 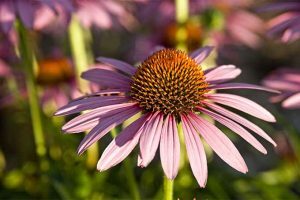 Alternatively, select fast-maturing varieties to sow directly into the garden about five weeks before the last frost date, or as soon as the ground is workable. Thin seedlings to allow for two feet of space around each. 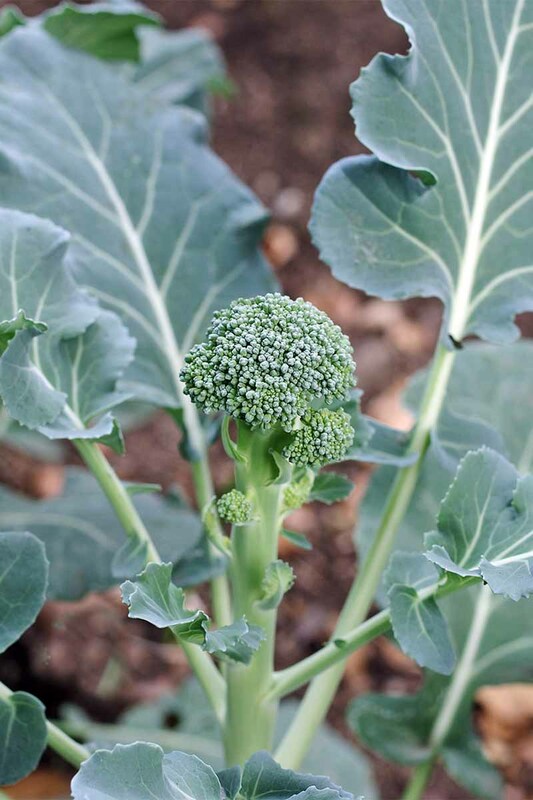 And, if you like to cultivate vegetables in containers on your patio, broccoli is one to try. Drill a few drainage holes in a large five-gallon bucket, and you’re good to go. 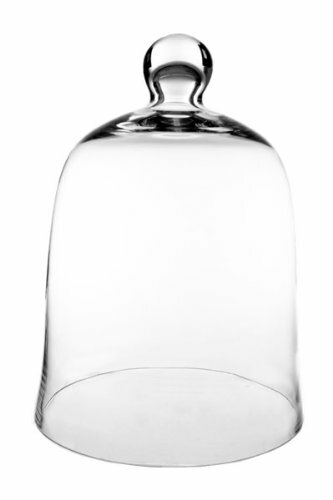 A 12-inch cloche bell jar that’s perfect for this purpose is available on Amazon. 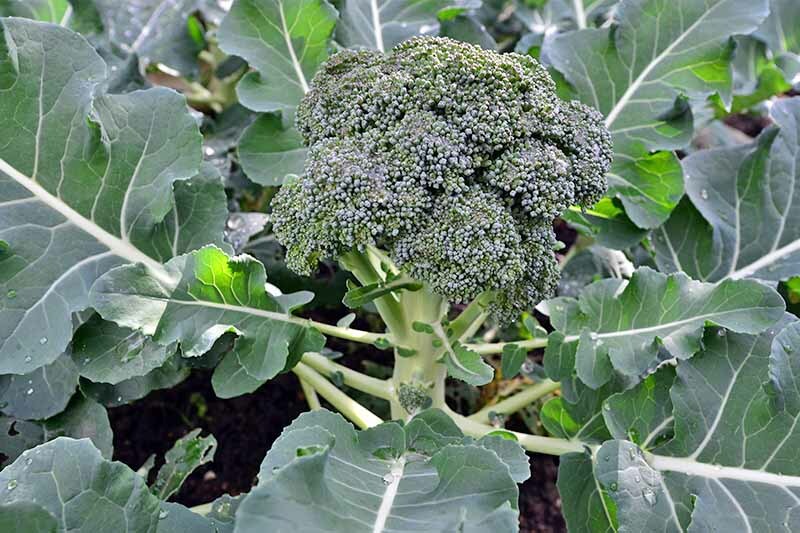 Broccoli is one of many plants that emit allelochemicals that may adversely affect other plants and future plantings on the same garden site. 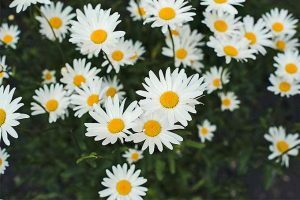 Per Permaculture News, excellent companions are fragrant herbs like chamomile, dill, oregano, peppermint, rosemary, culinary sage, and thyme. Also recommended are beets, celery, hyssop, onions, potatoes, and wormwood. Steer clear of beans, mustards, pole beans, strawberries, and tomatoes. As your plants mature, keep the ground moist, but not soggy, and never let it dry out completely. You may apply a generous layer of mulch to help keep the ground cool and moist as the temperature rises. In addition, during the maturation phase, you may side-dress with a boost of veggie fertilizer. 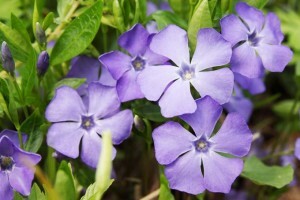 Place it on the soil around the stems, but without touching them, to add vital nutrients, and aid in moisture retention. Try Down to Earth’s Bio-Fish 7-7-2. It’s available on Amazon. 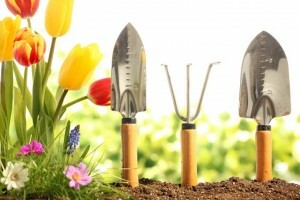 Loosen the soil occasionally with your garden trowel and remove weeds that may harbor pests. Healthy plants are least vulnerable to insect damage and disease, so good drainage and air circulation are important. An application of diatomaceous earth helps inhibit pests such as aphids, cabbage worms, cabbage loopers, flea beetles, and root maggots. Covering your plants with netting or floating row covers are also useful methods for deterring unwanted critters. 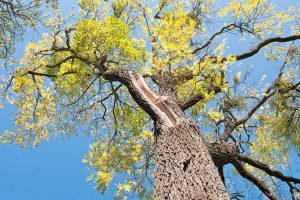 If your plants begin to wilt or discolor, they may be the victims of a fungal infection called “Black Leg.” It’s sometimes present in the seeds themselves, and we don’t know it until it’s too late. 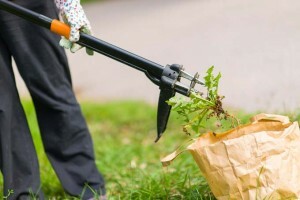 Per the University of California Statewide Integrated Pest Management Program (UC IPM), infected plants must be destroyed, and crop rotation practices used. Another reason for yellowing and wilting is simply too much sun. In this case, a tent of cheesecloth may provide enough shade to keep them on track. 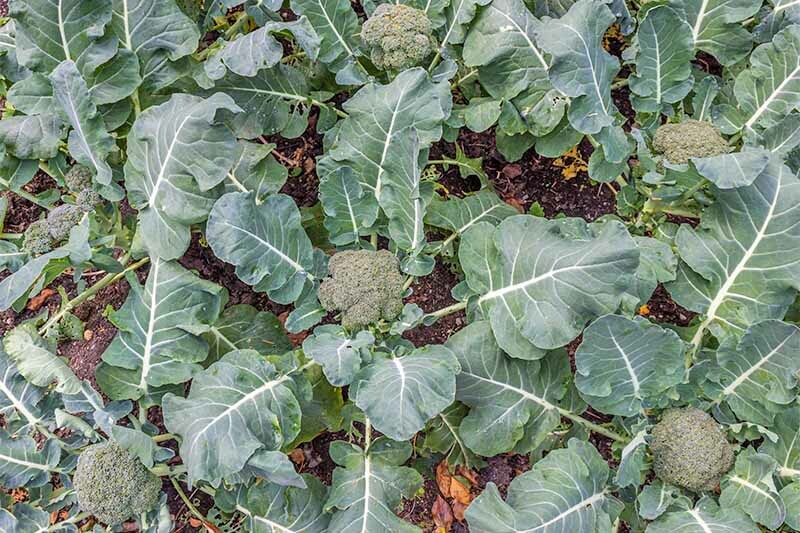 Figuring out when it’s time to pick can be difficult for first-time growers, especially when it comes to green vegetables. Without a sudden color shift to indicate that it’s time to pick, what are you supposed to look for? You’ll know that your crops are ready for the first harvest when heads have formed, and they’ve reached a diameter within the range of what’s indicated for the cultivar that you’re growing, usually around 4-7 inches across. Check your seed packets for this information, as well as the average number of days to maturity. This is another helpful guideline to keep in mind. When florets on the outside edge of the head are large and full, this is another helpful indicator that you’re good to go. But don’t wait too long. When they begin to turn from green to yellow, this is a sign that they’re beginning to flower, and past their peak. If you notice this change taking place, your crops are still good to eat. In fact, the flowers are edible. But be sure to harvest them all right away, if you’re looking for the green florets that you know and love! And try to pick them before this happens in subsequent years. As with all gardening endeavors, this is a learning process. We’re all too often tempted to keep berries on the bush and tomatoes on the vine longer than we should, in the quest for peak harvest perfection. Pay attention to what your senses are telling you, and keep a gardening journal to cross-reference suggested indicators of maturity with your own experience. 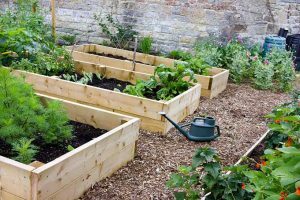 Gardening is a skill, and all of this accumulated knowledge can help you to pick the best harvest you’ve ever grown next year, and the year after that. Though crowns are commonly available in grocery stores today, you want to harvest your haul with a longer stem intact. Using a sharp, clean knife, make a cut about 5-6 inches below the mature head. Try to do this smoothly, to avoid damaging the roots and remainder of the plant. Broccoli can be stored in the refrigerator in the crisper bin in a loose plastic bag, but it’s best to enjoy right away, whenever possible. Wait to wash under cool running water until you’re ready to eat them. And don’t forget that those nutritious stems and leaves are edible as well. You can even feed the leaves to your chickens! After harvest, most cultivars will continue to develop smaller side shoots that are also good to harvest. Add a little nitrogen-rich fertilizer to encourage their growth. They might be smaller than those initial heads, but they’re just as delicious as the larger initial crowns. Keep the indicators of ripeness described above in mind to determine when they’re ready to pick. These side shoots will be in plentiful supply for as long as you keep cutting them. If you stop, the plant may “bolt” or flower, go to seed, and die. A bout of sudden heat may produce the same results. 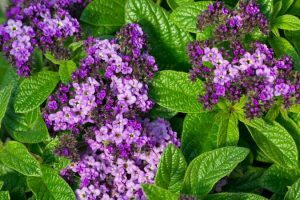 For a second crop, select varieties that are especially frost hardy. 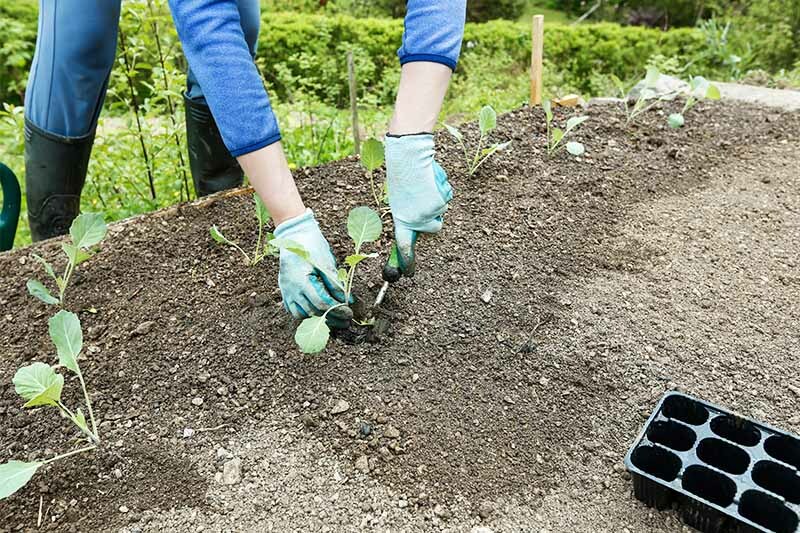 Sow seeds in mid-summer, and you’ll have veggies that can withstand a light frost or two and keep you supplied through fall. Many folks have better luck with fall crops because there are generally fewer hot spells and pests in the later months of the year. 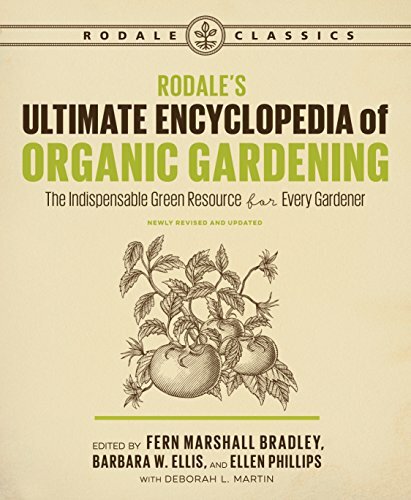 For more information on cultivation, I recommend consulting two of my favorite go-to guides, Rodale’s Ultimate Encyclopedia of Organic Gardening and The Encyclopedia of Country Living. 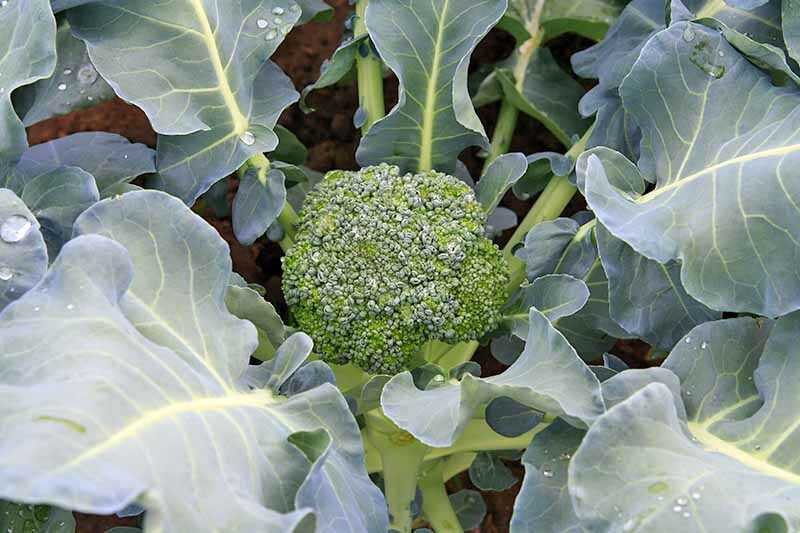 Cabbage worms are not uncommon with broccoli. Chris of Joybilee Farm recommends a way to draw them out. Simply place harvested heads into your clean kitchen sink. Fill it with cold water, 1/4 cup salt, and 2 tablespoons of vinegar. 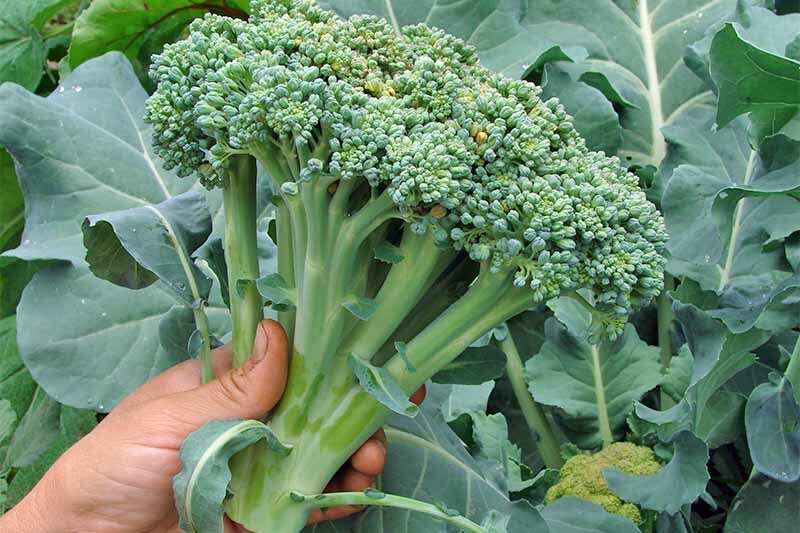 Soak between 20 minutes and one hour before rinsing well and preparing broccoli as desired. For a fresh and green side dish, try a simple broccoli salad, with asparagus and radishes. You can find the recipe on our sister site, Foodal. Endless Summer Broccoli Salad with Avocado Dressing is another tasty option, with roasted sweet potatoes, crispy shallots, and a creamy yogurt-based avocado dressing. Get the recipe on Hunger Thirst Play. A healthier version of your favorite takeout, homemade beef and broccoli with homegrown vegetables is a weeknight standout. Wanderspice shares the recipe for this quick and delicious dish. For Meatless Monday, or if you’re in search of the perfect party appetizer, you’re going to love the broccoli fritters with cheddar and scallions from Vintage Kitty. Or, for another cheesy combo, try the broccoli and cheese soup from the Gingered Whisk, a healthier, thick-textured version with added spinach to provide a vibrant green color. Pasta night again? Step aside, marinara. “Creamy vegan” might sound like an oxymoron, but the quest for rich creaminess is pretty common in the realm of dairy-free recipes. The Fitchen has nailed it with their creamy vegan broccoli sauce recipe. Try this one served over your favorite pasta. 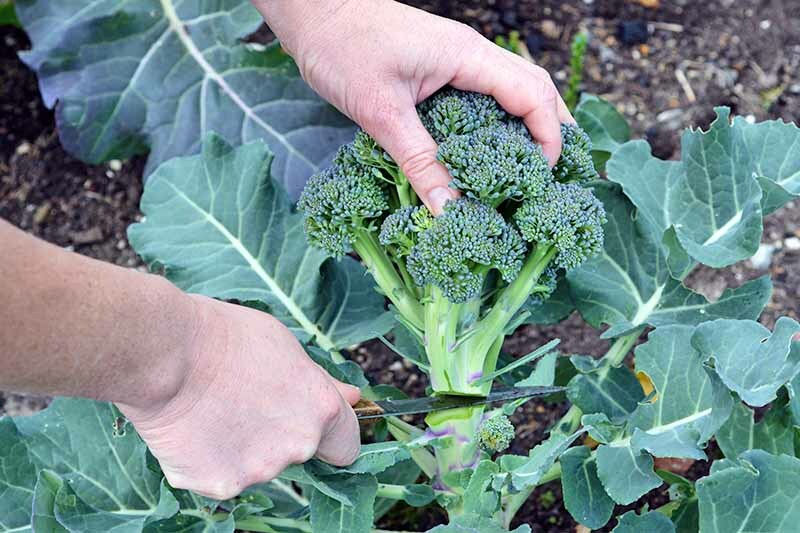 With these tips, you’re all set to add broccoli to your garden plan. 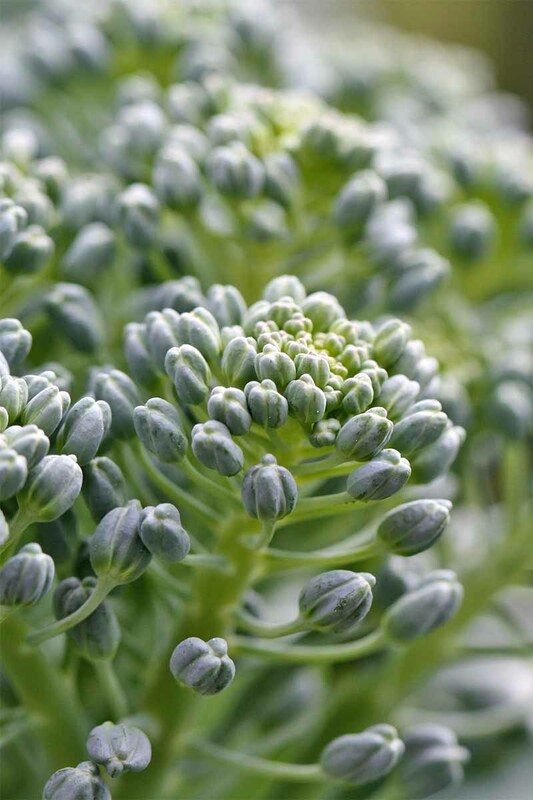 I’ve always enjoyed the taste of fresh broccoli from the garden, and I know you will, too. One of my favorite memories is of my father-in-law presenting my mother-in-law with a fresh “bouquet” for dinner. 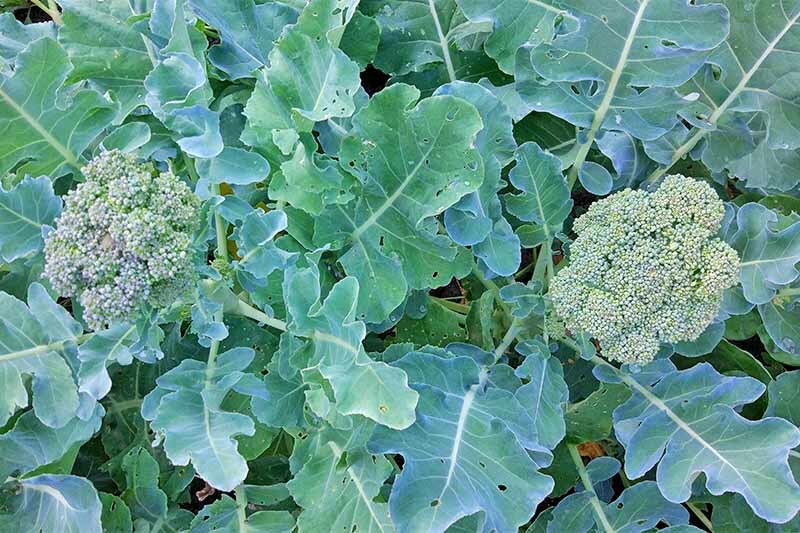 Why should you buy broccoli seeds this year? 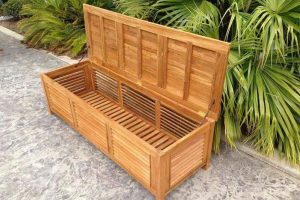 Seeds are reasonably priced and keep several years in a cool, dry location. This is a crop you can sow successively up to three times for an extended growing season with multiple harvests. A serving provides your family with vitamins and minerals like A, C, calcium, folic acid, and potassium in every cost-effective bite. 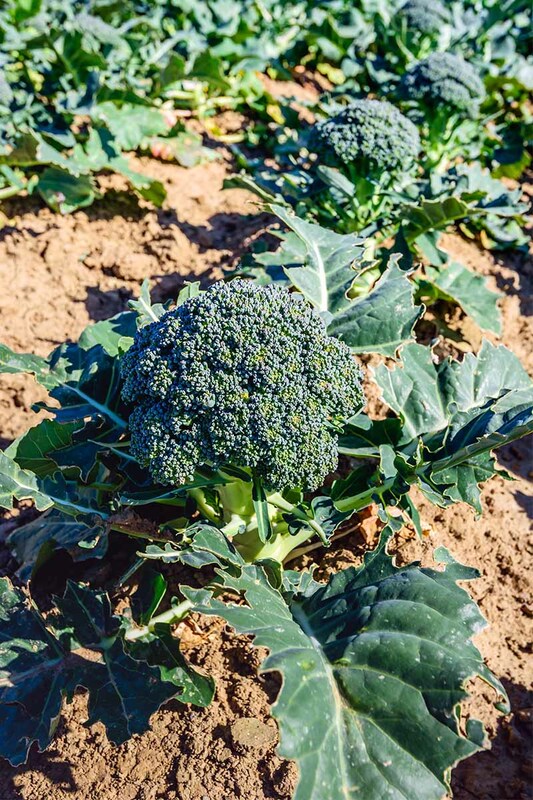 You’re going to love garden-fresh broccoli! How does your vegetable garden grow? We’d love to hear all about it in the comments section below. 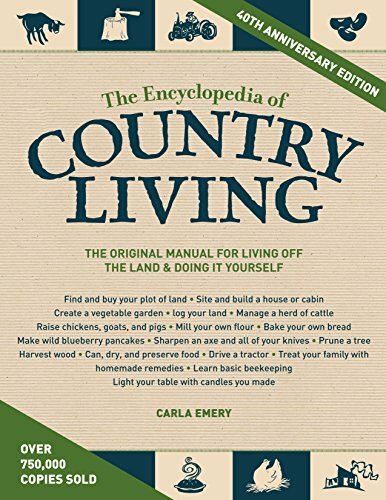 Product photos via CYS Excel, Down to Earth, Rodale Books, and Sasquatch Books. Uncredited photos: Shutterstock. With additional writing and editing by Allison Sidhu.